[Round 2 - 11] Would you rather ... ? ang napili ng mga taga-hanga: Die from an explosion. [Round 2 - 10] Would you rather ... ? ang napili ng mga taga-hanga: Lose a lucky Rabbit's foot - and die from the bad luck. [Round 2 - 9] Would you rather ... ? ang napili ng mga taga-hanga: Raise a baby into the hunting life. [Round 2 - 8] Would you rather ...? ang napili ng mga taga-hanga: Leave your family forever .. to keep them safe. [Round 2 - 7] Would you rather ...? ang napili ng mga taga-hanga: Find out you have a dead brother that you never knew about. I am new to Supernatural starting watching it on Netflix, pag-ibig the show! Then they drop it what the heck. Why? uy y'all! I don't know about you but personally, I'm signing adoption forms anytime I see Jack, so you can imagine how upset I was when I saw the end of 14x06. Like, giving Jack tuberculosis is NOT what we're gonna do here. Disclaimer: I pag-ibig Dean and I hope this doesn't come across as Dean hate. It's just most hate towards Sam comes from a lot of Dean girls (not all). Let’s first set the background here Sam Winchester: tall, kind, caring, cute and very smart (did I miss anything? I think that about covers it). For this blog, I want to focus on Sam’s intelligence and how that carries out in his family life. Sam is very smart I mean he keep up his grade regardless of how much he moved around, he was in the mathletics, he went to Stanford, was good with Latin and research since he was a child. sa pamamagitan ng any standard, you would say Sam is madami than just smart; Sam is gifted. During Ketch’s raid of the bunker in the “memory remains”, he questioned how many flannel shirts Dean had, which made me wonder why he particularly wears madami plaid flannel that Sam. a link ay idinagdag: What will the Supernatural Season 14 finale cliffhanger be? What song is the first Dean is pag-awit on the show? 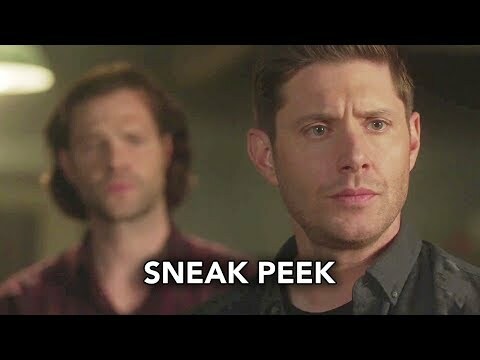 Is Dean gonna come back from being taken sa pamamagitan ng Michael the Archangel?